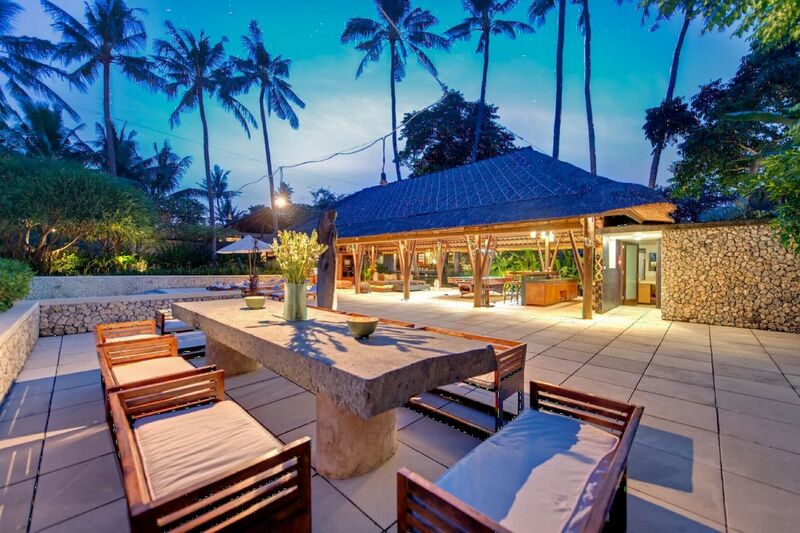 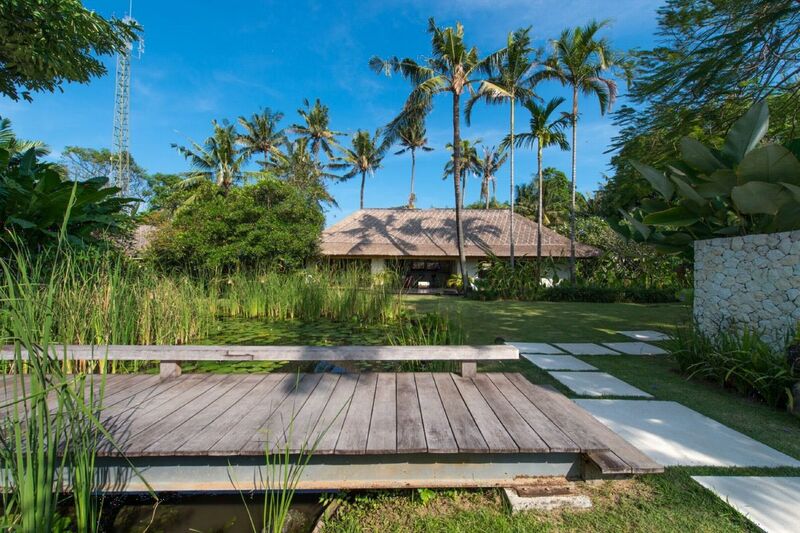 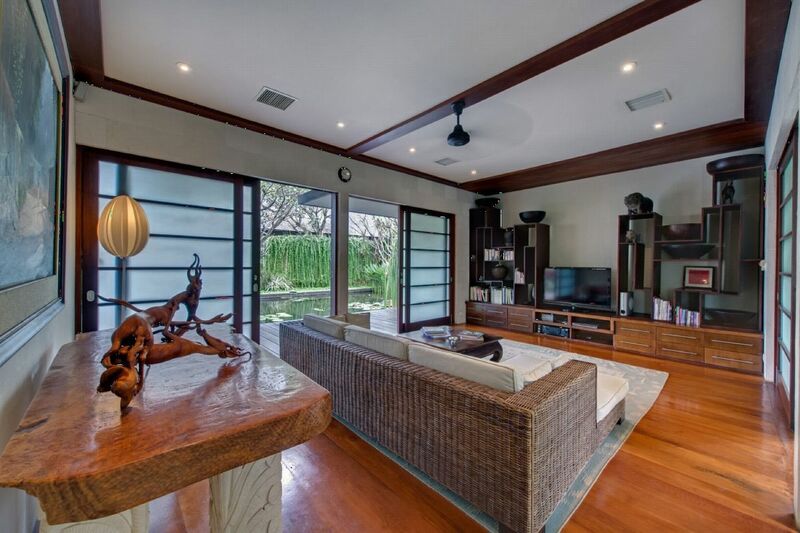 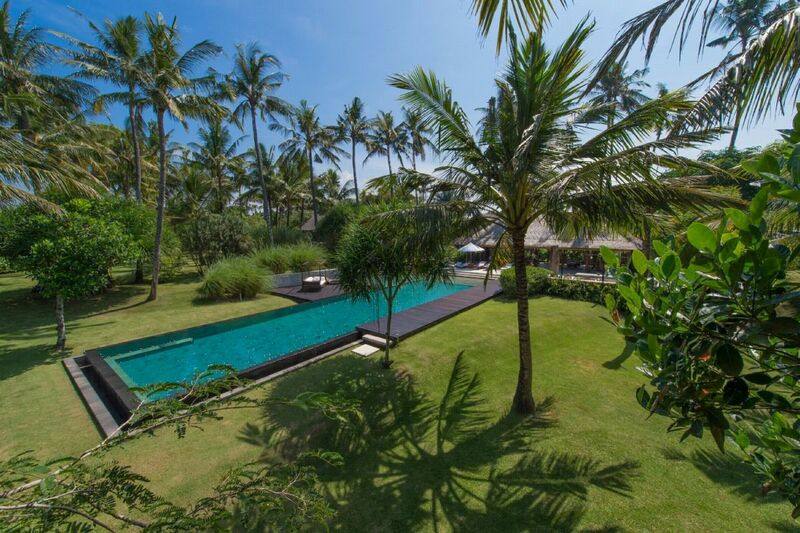 This property will welcome you in the south-east coast of Bali, in the peaceful village of Ketewel. 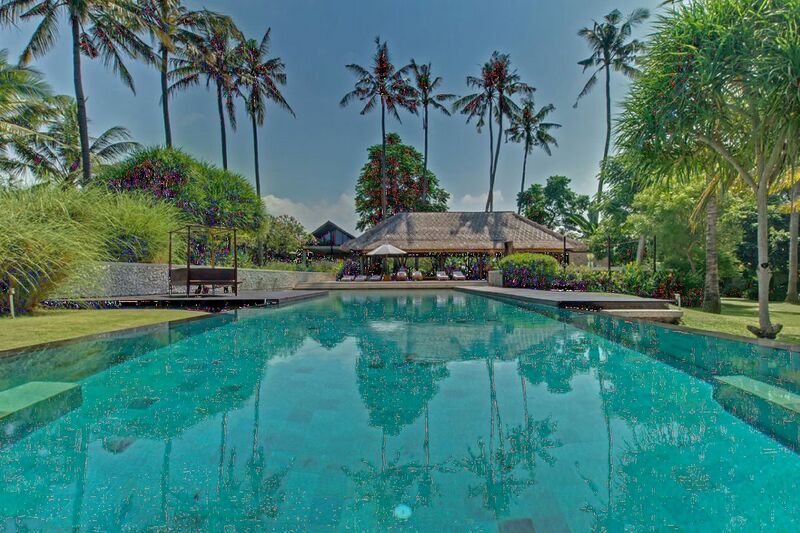 You will admire the breathtaking view of the ocean and the neighbouring rice fields, and get a glimpse of the sacred Mount Agung. 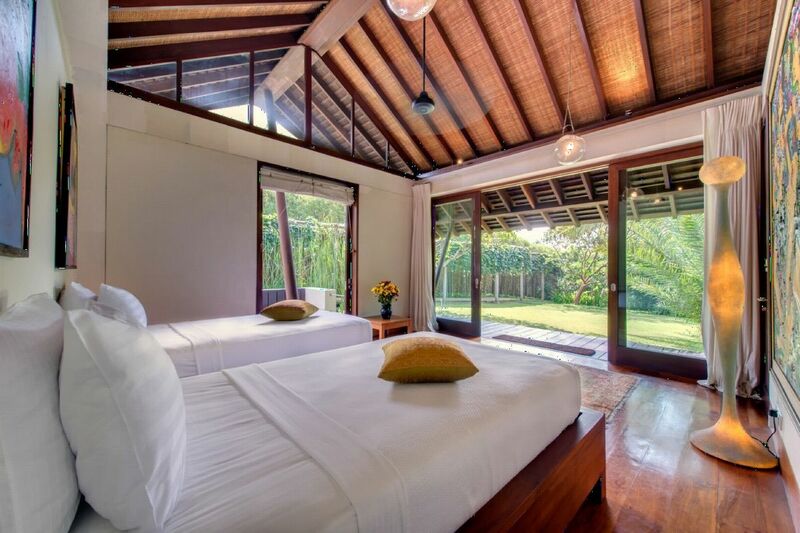 You will be able to hear the sound of the waves in the distance, the tinkling water and the chirping of birds. 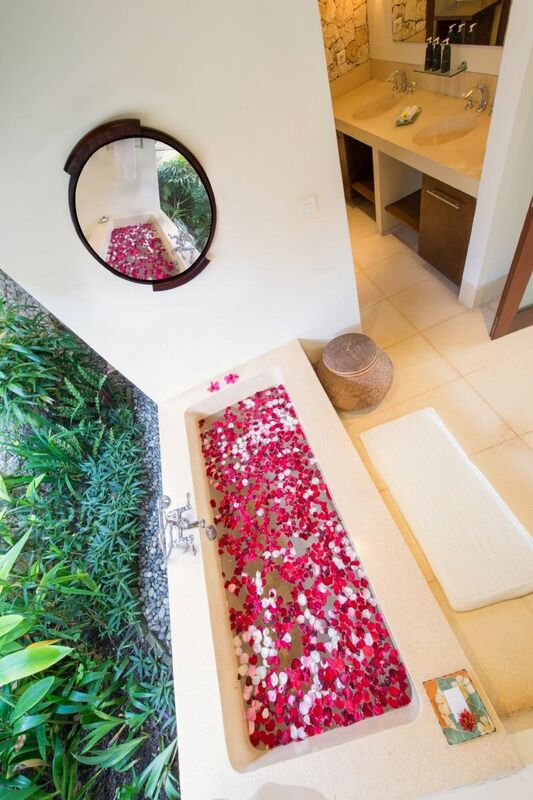 All these details make this place a haven of serenity and relaxation. 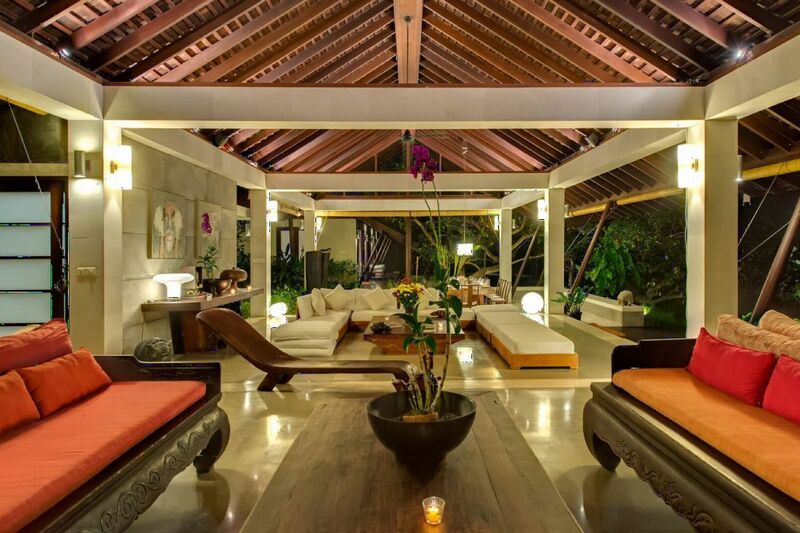 This magnificent villa has just started to impress you; with five luxurious rooms, an open-side pavilion with a living room and a dining room, a kitchen you could find in the finest restaurants, an entertainment lounge, a 25-meter pool and a staff who will do their best to meet your needs. 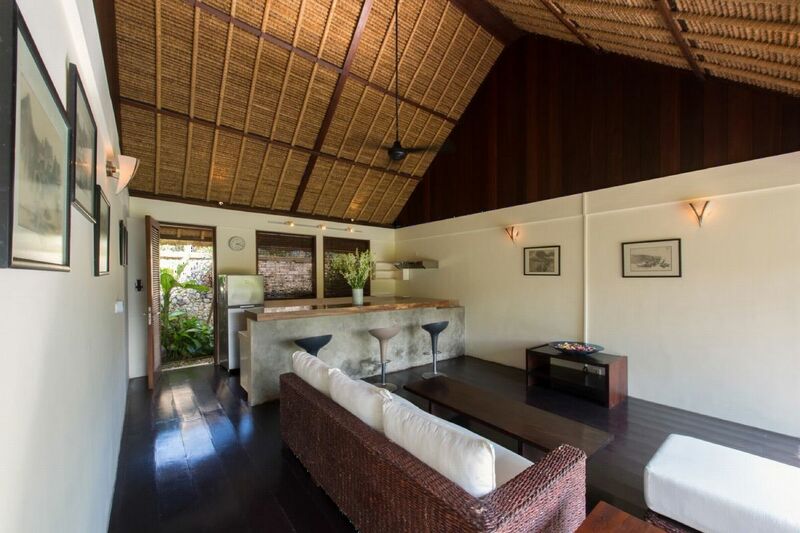 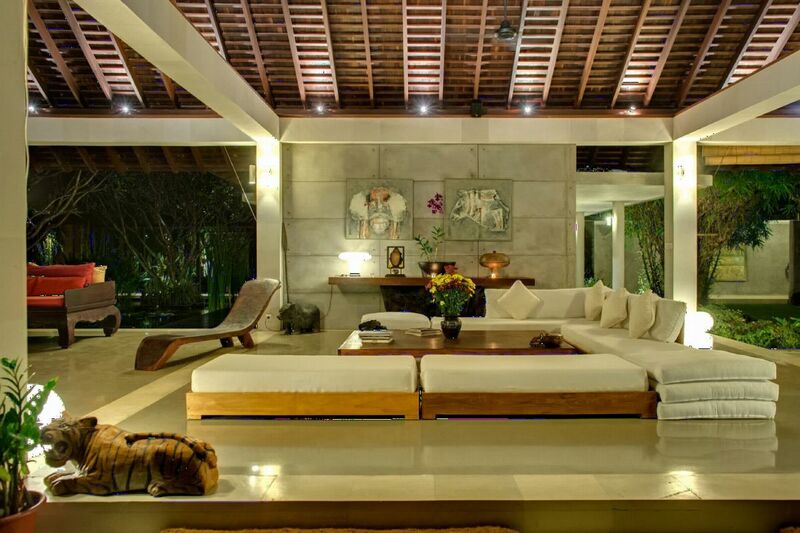 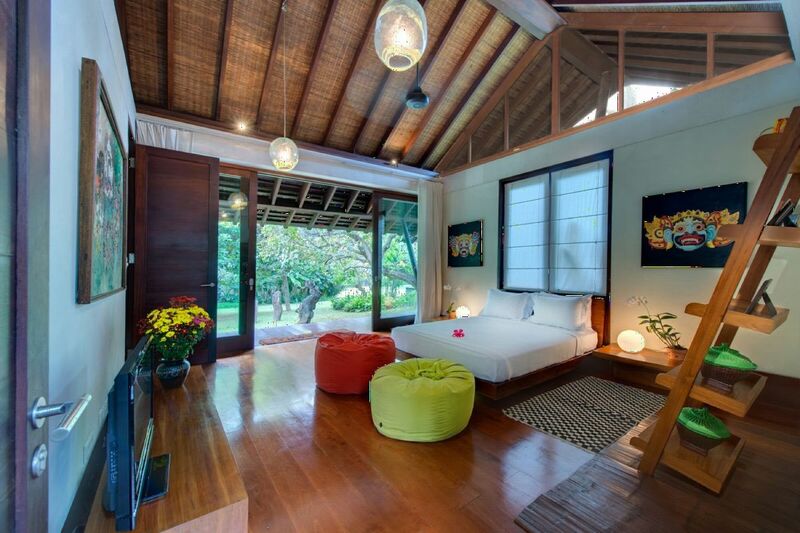 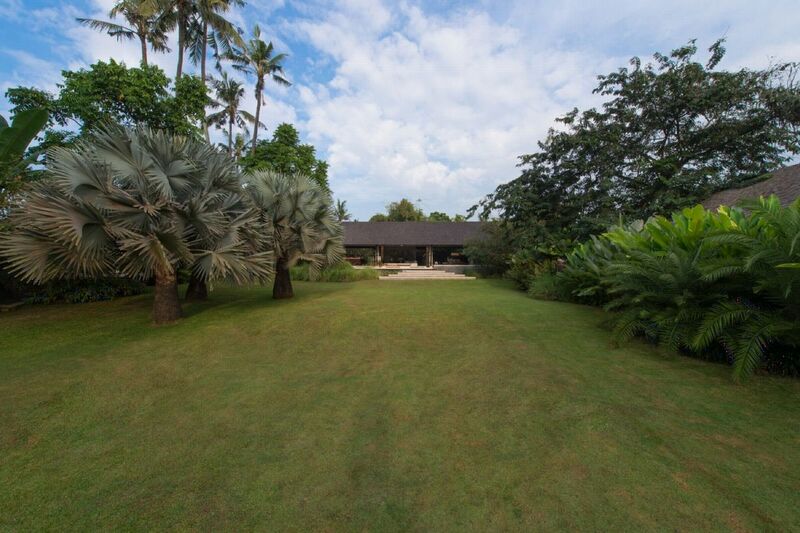 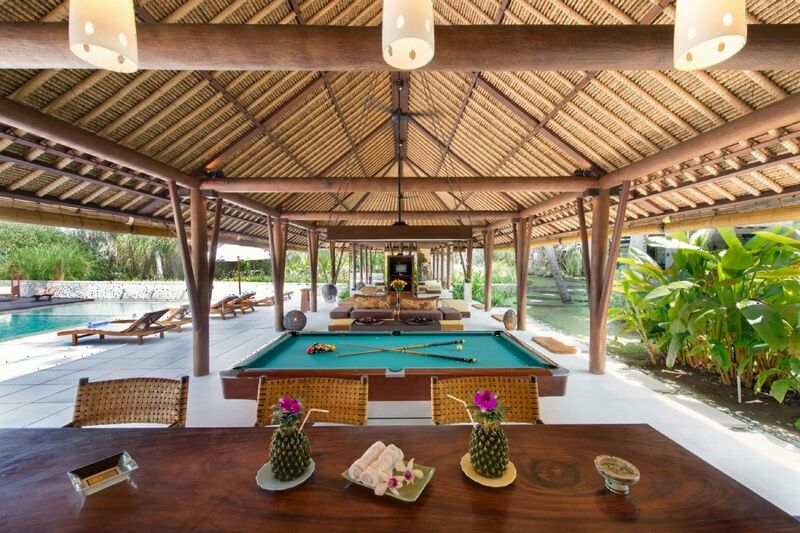 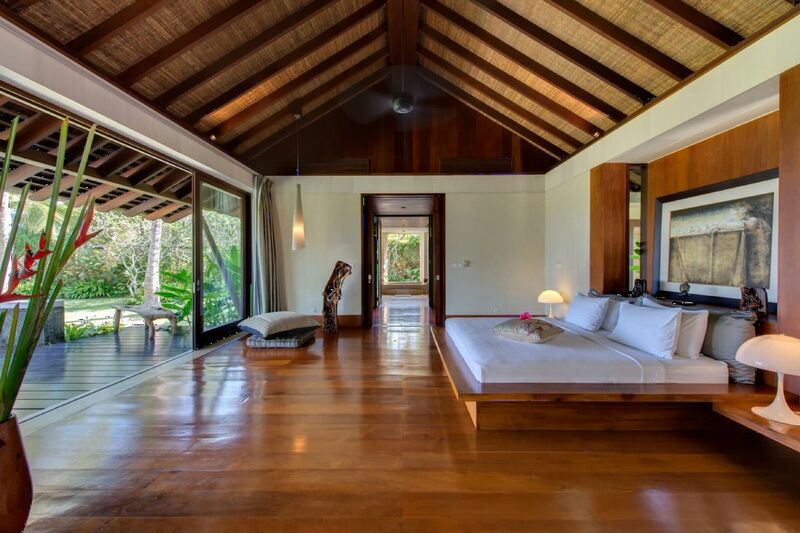 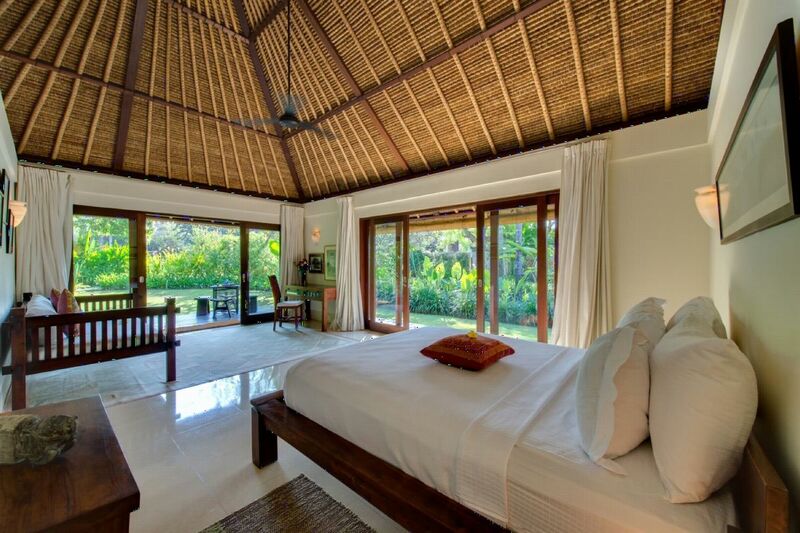 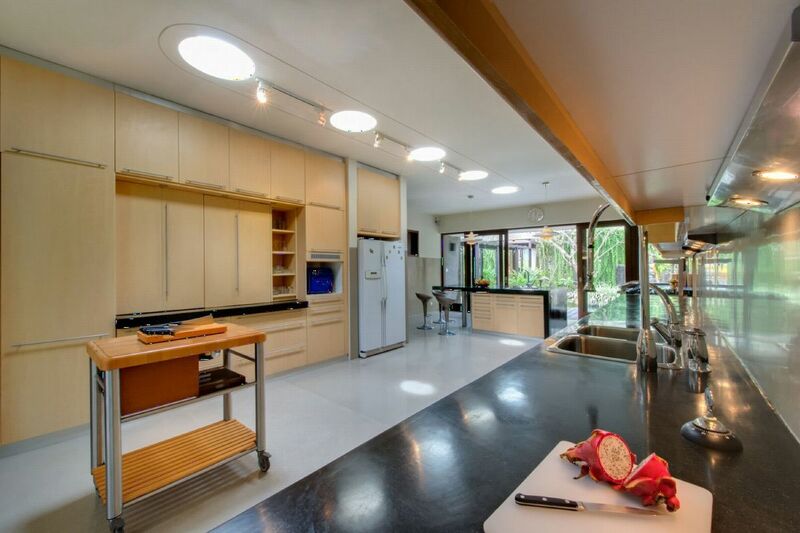 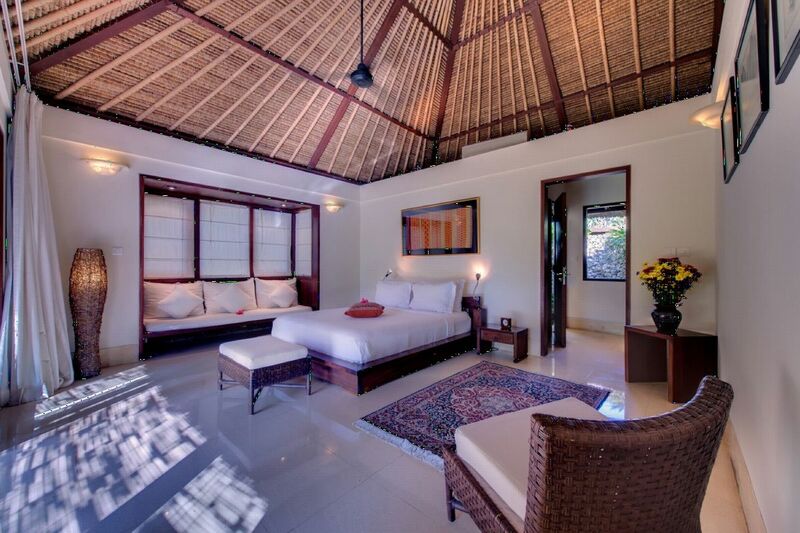 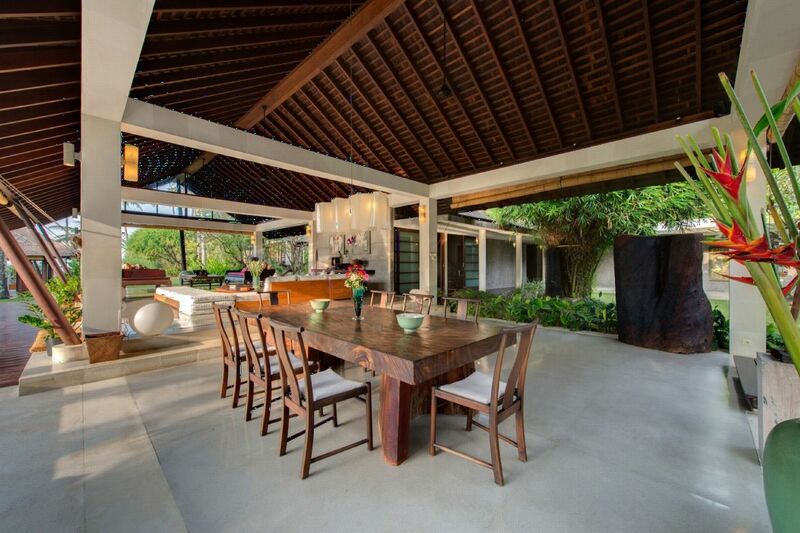 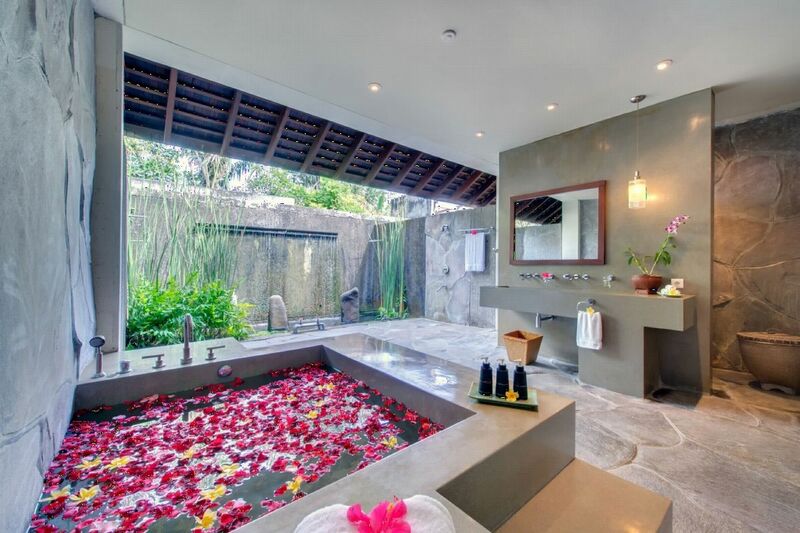 If you dream of space, peace, privacy and style, let yourself be tempted by Villa Samadhana. 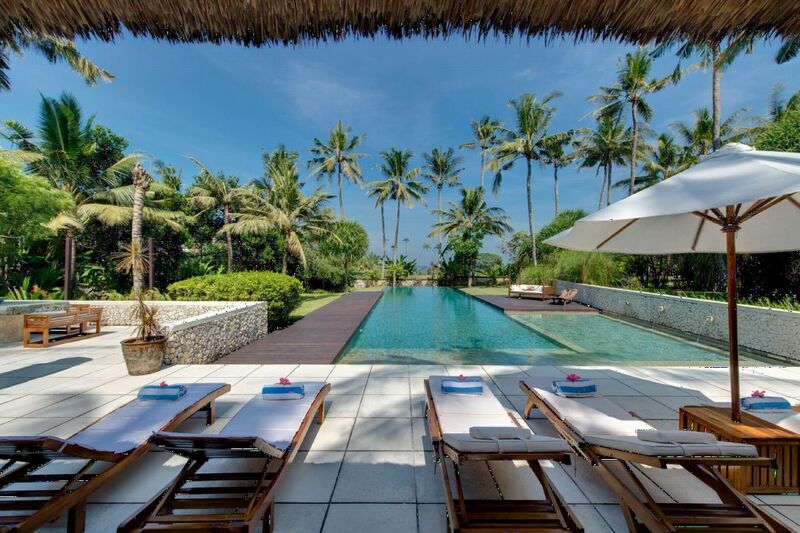 This attractive villa is an idyllic setting for weddings, parties or special celebrations, as well as a peaceful retreat for families, couples or groups of friends.